Dunnage Manor is a luxurious rental property in Sparrebosch, Knysna, situated on the Pezula Championship Golf Course, approximately 800 metres from the Pezula Resort Hotel & Spa. The house is both stylish and spacious with sea views and views of the Pezula Championship Golf Course. It has four beautiful bedrooms, all en suite. Attached to the house is a flatlet with its own entrance, two bedrooms and a bathroom. The house can comfortably accommodate twelve people. The guests of the house are entitled to a free four-ball per day at Simola Golf & Country Estate including cart and halfway, providing them with the perfect leisure perk when they arent relaxing at the Sparrebosch Clubhouse pool or enjoying a game of tennis on the Clubhouse tennis court! 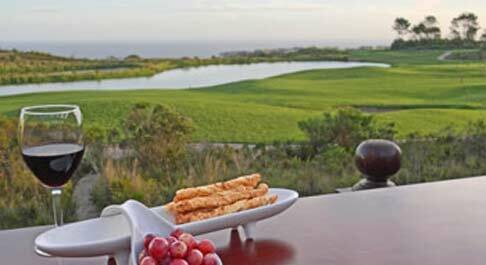 Guests are also entitled to access to Pezula Resort Hotel and Spa, its pools and gym, and discounts on Spa treatments and golf rounds. 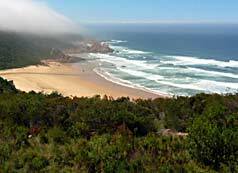 Dunnage Manor is only a short distance from Noetzie Beach, voted the third most beautiful beach in South Africa. 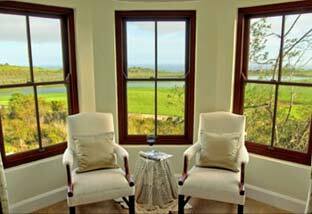 Bedroom 1: The master bedroom suite has sea views and opens onto the upstairs verandah. It has a king sized bed and big dressing room. Fire place. Large en suite with bath, double shower, toilet, bidet, toilet, basin and heated towel rail. Bedroom 2: Beautiful second bedroom with king size bed also opens onto the upstairs verandah with sea views. En suite bathroom, bath, shower, toilet, basin and heated towel rail. Bedroom 3: The third bedroom has twin beds with a built in wardrobe, en suite bathroom with shower, toilet, basin and heated towel rail. Bedroom 4: The fourth bedroom has twin beds. En suite bathroom with shower, toilet, basin and heated towel rail. Flatlet: The comfortable flatlet has 2 double bedrooms and bathroom with a shower and toilet. Living Area: Large and beautifully appointed lounge, dining room and open plan kitchen, graciously decorated. In addition to a tv room the living area also features a built in bar. The living area leads out onto a large verandah and outdoor barbeque facilities. All essential kitchen facilities provided. Both the tv room and bar have plasma tvs with full DStv and PVR capabilities. There is no pool but guests have access to pools at both Sparrebosch and Pezula. Kitchen: Modern, fully-equipped kitchen. Separate laundry facilities. Direct entrance from the garage.